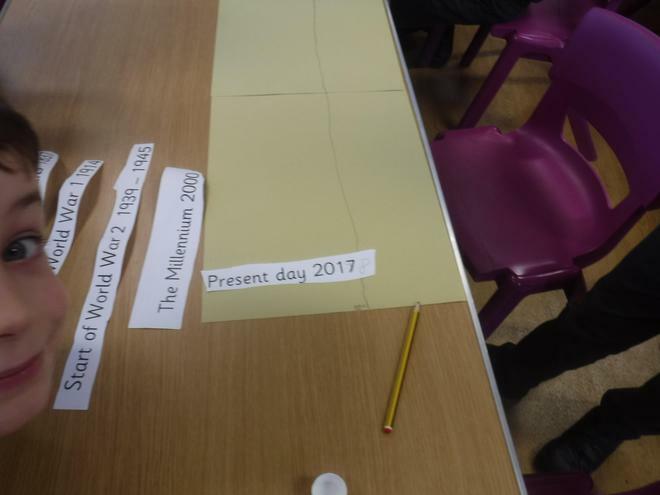 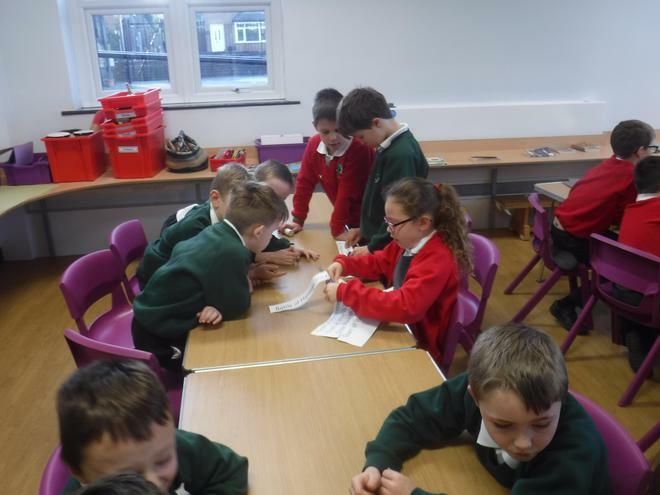 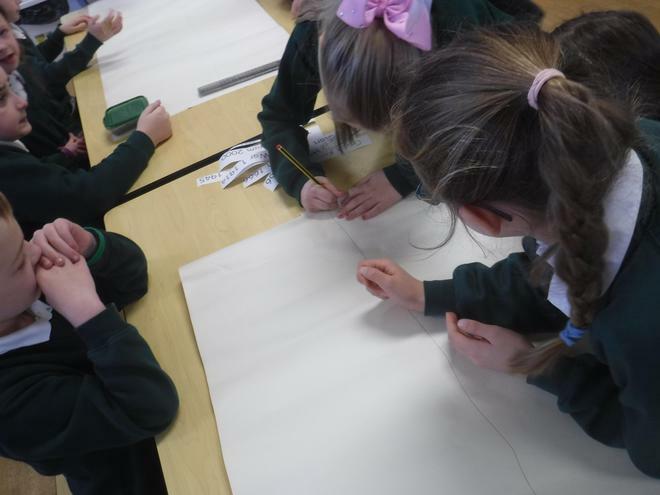 Today we worked in groups to create a historical timeline of important British events. 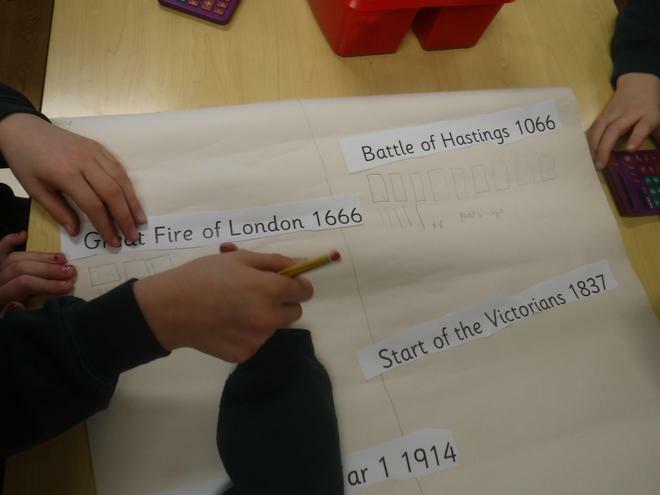 First we put the events in chronological order. 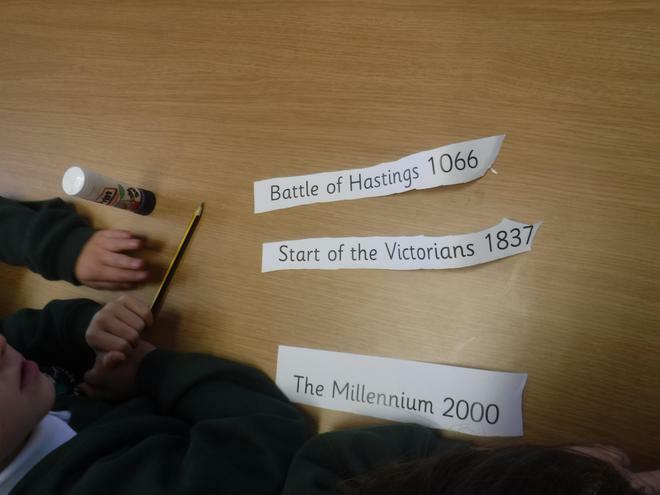 Then we used calculators to find out how long ago each event was. 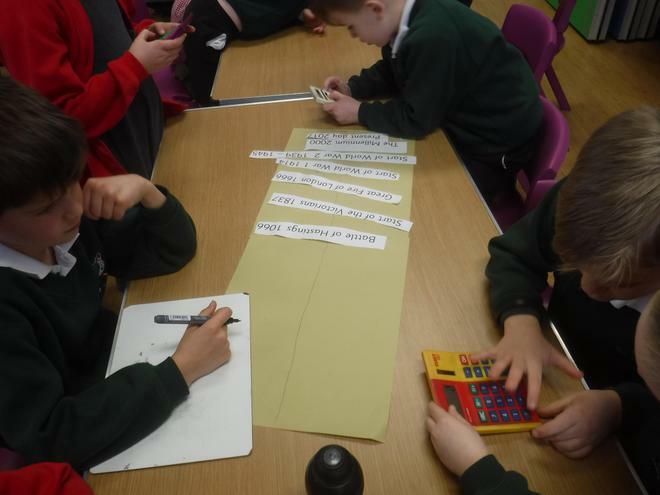 Some of us used our mathematical skills to work these out.